Did You Know Your Favourite Sea-Facing Bar Is Also A Boutique Hotel? Hotel Harbour View – one of the oldest art deco buildings in Mumbai, got a fabulous makeover last year and we couldn’t resist planning a short staycation here. 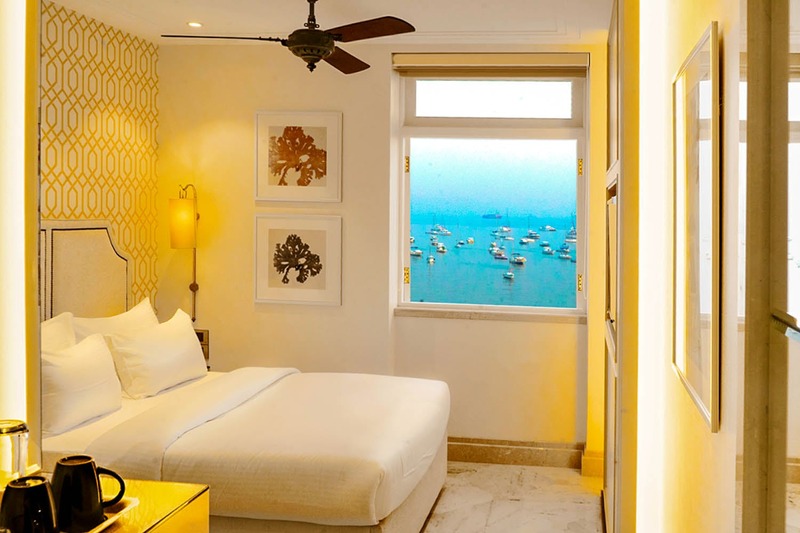 Hotel Harbour View in Colaba underwent a drastic change in the first quarter of 2018 and boy were we pleasantly surprised. The art deco gem was initially a rest house for the distinguished Kerawala family. This family getaway was then converted into a guest house giving travellers a chance to explore Mumbai’s majestic sealine. The hotel looks like something right out of a travel catalogue, thanks to its renovation. The rooms overlook the Arabian Sea and you can literally sit in the balcony and ponder over how beautiful Mumbai can be (tariff starts at INR 4,686, may vary). Did we happen to mention that Bayview Cafe is open 24×7? Yeah, when all other bars will chuck you out after 1.30 AM, Bayview will take you in. How have we missed this when it has been under our nose all this while? With boutique hotels ruling the roost, we can totally bunk in here for a day of writing and a night of debauchery.